A computer desk designed for Grade Schoolers, this desk comfortably fits a child from 6 to 10. Deep enough for a large computer, a full size tower can fit below the desk. Solid wood legs and frame, with sturdy laminated top and dent resistant edge banding. 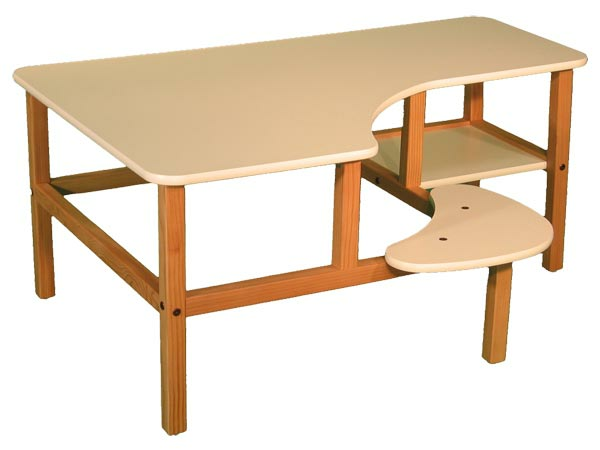 Preschool desks can be upgraded to the 23" height as children grow, with our Grow Kit of longer legs.